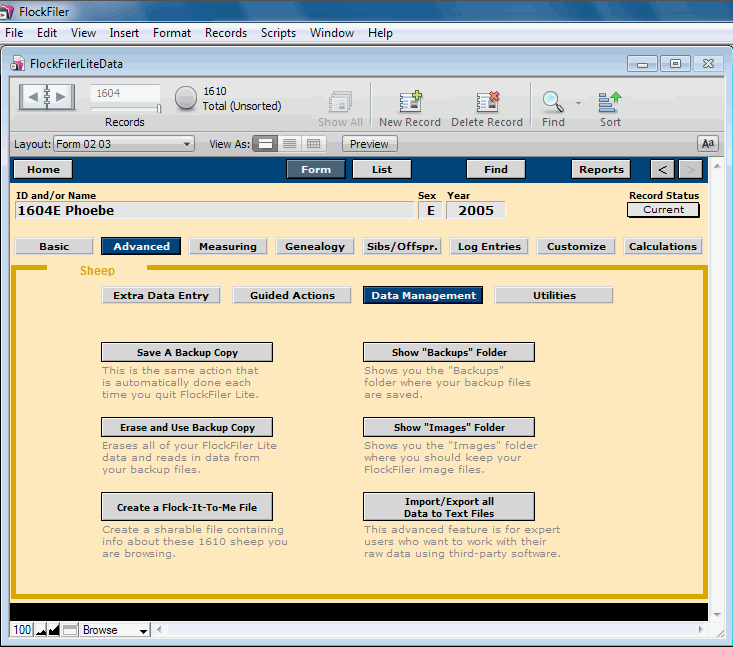 Advanced Form – Data Management. This screen provides assortment of buttons providing tools to work with your data as a whole. Some of these buttons also appear elsewhere in the appropriate context on other screens.